As I record the video lessons for PPC Course, I can’t help but take a trip down memory lane. My thoughts are almost always forward. What’s next? When will it be there? How can I use it to help my business? Rarely do I take time to look in the rearview mirror. 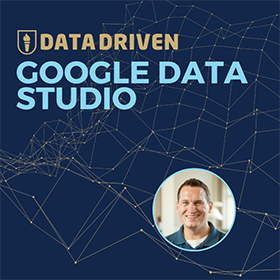 But creating a course that teaches AdWords from the ground up required quite a bit of looking back on the journey. And I enjoyed it more than I could have imagined. It was a great experience every step of the way. From hustling to get that first $1,000 in managed spend to growing a company to 10+ certified individuals. While most people think of experience in PPC management as learning what you need to do to succeed, I believe the opposite is required. Being a great at Google AdWords management is all about what you do not do. You don’t need to learn how to do keyword research to succeed. You need to learn what keywords to keep out of your campaigns. You need to learn how to limit your exposure. How to prevent yourself from over-paying. How to stop hemorrhaging money. You need to learn what default settings are hurting your ability to thrive, and how to work around them. You need to learn how to navigate Google AdWords in your sleep, and then forget everything you learned and download AdWords Editor. You need to take a glass half empty approach when it comes to Google’s suggestions, but read every single one of them. Sometimes Google’s suggestions will blow your freakin mind! You need to learn diplomacy in order to get the best results. Nobody wants to hear their baby (landing page) is ugly, even if it is cringe worthy. You need to watch the Hal Varian video at least once a year. Then you need to dress up as Hal Varian for Halloween. You need to realize that the above was a joke. Even Hal Varian doesn’t dress up as himself for Halloween. There is only so much impact you can make on a Google AdWords account in a day. Your actions produce reactions (changes in metrics) and those reactions take time to materialize. But you should strive to make changes in your account several times a week. Otherwise you run the risk of having your campaigns reclaimed by the Google wilderness. You may be tempted to pause a keyword after 10 clicks and no conversions. You may want to declare one piece of ad copy the winner 2 days into your campaign. Resist those temptations and understand that this is a long term investment. Without a doubt, your first month with a new account or campaign structure will not produce the results you expect. This happens with every new account, for every advertiser. At the same time, you will be putting in the most time leading up to that first month. Your efforts and results do not equate to success and this can be frustrating. Good thing we learned about patience a few paragraphs ago. I am blown away by the amount of terribleness surrounding Google AdWords. Big companies treat it like a media buy. When it gets cold at night, they warm themselves by burning stacks of $100 bills. Big agencies cater to big companies and big budgets. When it gets cold at night, they help the big companies with the burning. Using an expense account of course. Small companies treat every dollar like it is Uncle Scrooge’s number one dime (yes I just made a Ducktales reference in a professional-ish piece of writing. Had to keep you on your toes). Often getting out of search advertising before they get through the worst first month. Small agencies bust their asses to deliver results. But often have problems explaining these results in the greater context of the business. They think the world revolves around AdWords. It doesn’t. Some businesses manage AdWords themselves. When it gets cold at night, they warm themselves by burning stacks of $1 bills. Yellow pages companies treat paid search like it is the *shudder* Yellow Pages. Then there are the good ones. Defined by not doing any of the above. Everyone has an agenda. But it is often the wrong one. The paid search game is about getting better every single month. It is about beating yourself so that others don’t have to. It is about knowing which levers to pull to produce results. It is about never being satisfied with the current state, always looking for areas to improve. It is about finding an edge that will give you higher click through rates, lower costs and increase conversions. It is about keeping an open mind and listening to the data. The data is smarter than you. It is about resourcefulness. Nothing ever happens as planned, but that is no excuse for poor performance. If you have been thinking about learning Google AdWords, I want to take you on a journey. 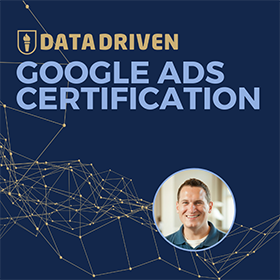 We will build up your base of knowledge over the course of a month, and then you will pass the AdWords certification exam. You will learn all of the wisdom, tactics, techniques and strategies that you need to be an AdWords master. You will feel confident in your ability to manage paid search advertising. Not just today, but well into the future. You will learn how to turn these skills and your confidence into gainful employment or entrepreneurial opportunties. If you are ready for the journey, take the PPC Course tour today! P.S. 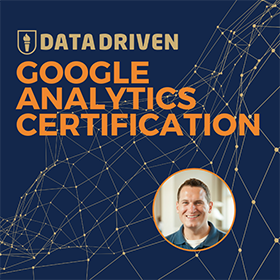 If you are already a PPC expert, you may think you don’t need this class. If you don’t think you need it, why not tell a friend or colleague? P.S.S. The course currently has 48 members going through our first class cohort. I wanted to close the course at 25 people, but the response has just been so strong that I kept registration up this week. I will be closing registration this weekend and also increasing the price of this course. Don’t miss out! P.S.S.S. I made a video to promote the course. You can find it on the PPC Course page, but if you are super lazy, I have embedded here as well.